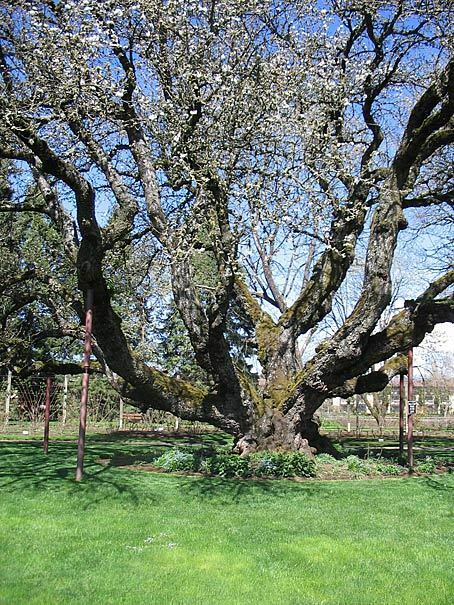 Folklore is that this tree was planted in 1847 by Eugene Skinner, co-founder of the City of Eugene in 1853. 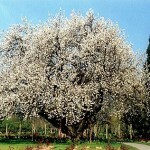 The tree is within the boundaries of Skinner’s 1850 Donation Land Claim. 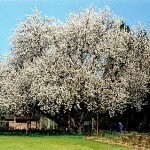 The General Land Office Survey of 1853 puts a cultivated area very close to this tree. 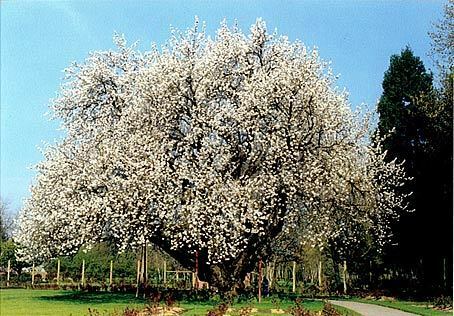 It is known that Skinner had an orchard of fruit (peach and almond) trees in 1860, and since the cultivar cannot be determined, most likely this tree was planted between 1860 and 1870. 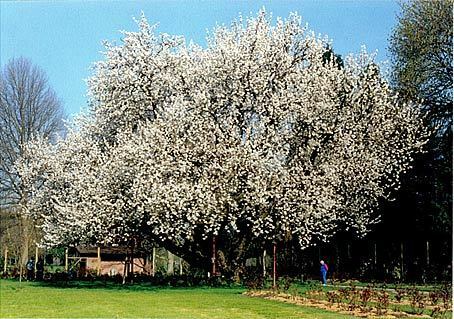 By 1950 the site of the tree was owned by George Owen, a former Eugene City Councilor, lumberman, and philanthropist. Mr. Owen donated the site to the city for use as a rose garden. 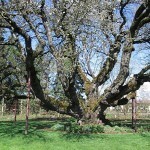 The tree can be found in the Owen Rose Garden, 300 N. Jefferson St in Eugene.